Introducing Your Little Ones to History! With the younger set, I really love to begin an introduction of history and the concept of time by telling stories. We often begin with the stories of our own family. Little ones LOVE the “when mommy and daddy were little…” stories! We go through family photos of the generations before us and tell their stories too! A great next step I found over the years is the book First Timeline by Mary Daly. It is the perfect vehicle for a history introduction as well as a wonderful precursor to our History Worth Remembering Timelines. What I love about this book is the way Mrs. Daly writes to the heart of a child, through the eyes of a Catholic. She talks about the past as a family of God and the gift of time and those that came before us! It is very sweet and is discussion oriented. In fact. I would read aloud each story and pause when there is a question presented, as these are great discussion prompts. I would also use the program at your own pace. Remember this is just an introduction and as such can be fun and light. There is an optional 4.5″ by 81″ timeline mural that can to be colored and either fan folded as a booklet or displayed as a mural. Your child can color as you read the story (or soon afterwards), filling it in as you progress through the stories. The line drawings are basic and the act of coloring them in makes them concrete in the mind of a child, giving them a better understanding of the sequence of time. As you move through the book, your child will begin to comprehend what we mean by history and will be fascinated by those who came before us wanting to know more! In fact many of the personalities introduced will be studied in future years and they will remember hearing about them from this introduction. Feel free to look up supporting images and information on the internet too! Optionally there are 5.5” x 8.5” cards which may be colored and mounted on dividers or you can color the images as you complete the biographies, then shuffle, and practice laying them out in sequence. Another option would be to use my suggestions for read aloud or picture books! The list below contains the books we have read and enjoyed as a family as a way to introduce history to our younger kiddos. Look for these at the local library and then order the favorites as gifts! You will find that these titles also complement the “history stories” from First Timeline. Feel free to use this list for read aloud time once a week or as a monthly whirlwind tour of time. You will see that they are well suited to the younger set and introduce key events and personalities that matter! When you have had a taste of the studying history, you will undoubtedly want more! The next step is to dive right into our History Worth Remembering Time Sets! Get my FREE Guide to 5 Keys to Open the Doors to Teach Catholic History Multi-ages! Please share with me other titles your family has enjoyed in the comments below! PS- I have not received any compensation for this review, nor are there any affiliate links. Use this text for any study of the Medieval time period. It is especially good to use as your framework text, and the teacher manual will also prove indispensable too! From the coming of Jesus Christ, through the achievements of medieval Christendom, to the threshold of the Enlightenment projects of the 18th century, God’s work in history reveals itself. This book combines narrative accounts with the necessary facts, dates, short biographies, and concept definitions needed for a Christian cultural understanding. The central concern of the volume is the effect on human civilization wrought by the Christian Faith. Drawing on the work of Catholic historians of the 20th century—Christopher Dawson, Hilaire Belloc, and Frederick Wilhelmsen—the authors have crafted a Catholic and accurate account of our Western heritage to convey our story to youth. I love to round out my history with writing lessons centered on the time period we are studying. You will find this the perfect complement to any study of Medieval Times. You can easily coordinate the topics with the historic novels you read or the chapters in your framework text. These 27 weekly lessons move through major Medieval History themes as they incrementally teach most of the IEW models of structure and elements of style. Easy-to-follow instructions and checklists are included for two levels of students: elementary and junior high. In addition, a Teacher Tips section provides helpful hints, sample whiteboards, and review games to help teachers reinforce the concepts taught. Vocabulary cards (with great pictures to help kids remember definitions), quizzes, and games are also included. 144 pages plus 64 vocabulary cards. Includes all teacher and student materials. Hands-on is optional for the study of History BUT oh so much fun for those kiddos that are real tactical and visual learners! Each Homeschool Journey History Portfolio encourages study and plenty of creativity while providing a compact way of organizing and showcasing a student’s own written research projects and reports, colorful drawings, photographs, clippings, downloaded images… anything that can fit between the pages! Use it as a stand alone curriculum using living books, or alongside your current history program. Each book is designed for individual use and will become a unique record of the student’s journey through history… a keepsake and a “book to treasure!” The History Portfolio Classic editions are designed for your middle school to high school students while the Junior version for your younger set, which is especially nice for families who want to study the same time period together. The body of the Portfolio is divided into chapters of commonly studied historical time periods, cultures and civilizations. The Table of Contents provides a thorough reference index to work with, indicating topics covering: works of literature, important people, works of art and architecture, important places and events, plus advances in science and technology. The attractively formatted Portfolios contain an entirely unique system of “image boxes” and “text boxes” that support and showcase the student’s work, whether hand or type written reports, graphs, diagrams, hand drawn images, photographs, or images accessed from the Internet. Also includes black-line maps of the regions being studied. And a sturdy timeline comes bound in each History Portfolio ready to be removed and easily assembled (we suggest using our History Worth Remembering Timeline Figures). The assembled timeline measures approximately 11” x 47” and is printed on heavy card stock. In the Teacher’s Guide you will find specific recommendations to put into each and every image box and text box. Use the Guide as-is, coloring, cutting, and pasting the images into the Portfolio, or simply you use it as a springboard and source of ideas. The Full color maps are a great add-on! The Medieval timeline is divided into sections, allowing a separate strand for each culture or empire. Dates begin at The Birth of Christ and continue to 1500 A.D. The JUNIOR version also include Teachers Guides. Long ago and far away . . .
“The more I came to know of the world, the more I knew I knew it not.” Crispin. Rarely do splendid characters reach across space and time, inviting us into the unexpected familiar of the past. Living history books are truly great treasures and Caroline Dale Snedeker writes just such works. Mrs. Snedeker shapes and develops her characters with such vivacity that they come to life not only within the context of her stories but continue to exist long after the last page has been read. With her delightful weaving of history and fiction, she guides us through the winding streets of ancient Athens, the war-torn lands of Gaul, and the lovely solitude of old Nantucket. Snedeker’s true love is the ancient world. Six of her books from American Homeschool Publishing are in that genre:, including Lysis Goes to the Play, Theras and his Town, A Triumph for Flavius, and The White Isle. Common threads of human emotion fill the pages of her works, connecting us in familial love, fear, pride, honor, compassion, and friendship to her vivid characters. Each story highlights the beauty found in the honor and responsibility to one’s family. From reed boats, papyrus, and amulets to pyramids, pharaohs, and mummies, this interactive activity book explores the fascinating lives of ancient Egyptians with more than two dozen hands-on projects. The informative text covers ancient Egyptian food and housing, games and toys, farming, medicine, clothing and jewelry, as well as gods, pharaohs, hieroglyphs, pyramids, temples, and mummies. It gives readers today a chance to experience how the ancient Egyptians lived, cooked, worked, worshipped, entertained themselves, and interacted with their neighbors through building projects that use common household items. Now, therefore, I do recommend and assign Thursday, the 26th day of November next, to be devoted by the people of these States to the service of that great and glorious Being who is the Beneficent Author of all the good that was, that is, or that will be; that we many then all unite in rendering unto Him our sincere and humble thanks for His kind care and protection of the people of this country previous to their becoming a nation; for the signal and manifold mercies and the favorable interpositions of His providence in the course and conclusion of the late war; for the great degree of tranquility, union, and plenty which we have since enjoyed; for the peaceable and rational manner in which we have enabled do establish constitutions of government for our safety and happiness, and particularly the national one now lately instituted; for the civil and religious liberty with which we are blessed, and the means we have of acquiring and diffusing useful knowledge; and, in general, for the great and various favors which He has been please to confer upon us. The author takes a close look at seven lies perpetuated by the culture and academia about the Catholic Church. She does not sugar coat any of the situations or deny corruption in the Church when it did, unfortunately, occur. In every age, but especially in our modern day, historians and political powers have distorted the facts about her past to make the Church, and the civilization it fostered, seem corrupt, backward, or simply evil. You will read about how the Inquisition was not a bloodthirsty but a merciful and necessary institution. Galileo’s trial : why moderns invented a myth around it to make science appear incompatible with the Catholic faith (it’s not), The Reformation: why the 16th-century Church was not totally corrupt (as even some Catholics wrongly believe), and more. Here you will find the lessons that every Catholic needs in order to defend and explain, not just apologize for the Church’s rich and complex history. This would be especially great for students preparing to enter a secular college. Begin by checking out any local functions. In our area the local Shakespeare company is hosting a special one hour event whereby over 50+ people are going to recite famous lines, one by one, from ALL of his plays and do so in just one hour…noon today! If there is nothing local…you can take your family to England virtually and visit his family homes, farm and gardens. Just watch the video below for a sneak peek into his daily life! You can watch In Search of Shakespeare by Michael Wood on YouTube over several nights. It is a fairly balanced program that our family has seen several times and really enjoyed. The author goes to great pains to show how he uses primary sources for his quest and ultimately presents a strong case of a Catholic man living and writing in a persecuted and dangerous time for Catholics. 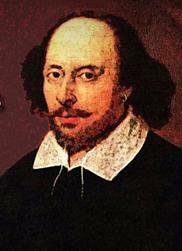 Totally immerse your family in the rich language of his plays with these amazing editions that contain fabulous essays that restore a traditionalist viewpoint …celebrate Catholic Style with a few of the Bard’s most notable plays available for download, no shipping from the Ignatius Critical Editions library at Emmanuel Books. 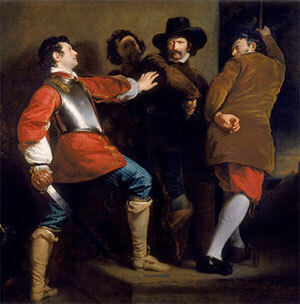 Nineteenth-century depiction of the Gunpowder Plot’s discovery. Yesterday November 5th all England and the countries once under British rule celebrated Guy Fawkes day. This is the day marking the failed attempt in 1605 by a small group of conspirators whose plan was to blow up Parliament and King James I. The failed attempt is known as the Gunpowder Plot. I have always been curious as to why this is such an important day to commemorate and as a Catholic just a bit curious as to who was this Guy Fawkes. All one has to do is google his name and a wealth of material pops up stating, as fact, that indeed he was part of “A small group of angry Catholics, fed up with ongoing persecution at the hands of the Protestant monarchy, hatched an elaborate plot to blow King James I and his government to smithereens.” He was a notorious traitor, a Catholic, who wanted to replace the throne with a Catholic monarchy. This incredible act of treason for which most of the conspirators either died or were first heinously tortured and then executed is a day of fireworks and celebrations. Wow! In fact, even the government gets in the “fun” for since 1928 to this day, on the opening of the Houses of Parliament, the Yeomen of the Guard search by lantern the Parliament cellars before the state opening. But is this the whole story? What part did Guy Fawkes play in the Gunpowder plot? In these lines we see the reference to Father Henry Garnet, a Jesuit priest who was hung for supposedly hiding his knowledge of the plot. “When Father Garnet finally confessed, he insisted that his previous perjury was not really perjury because he lied for God’s sake. For this bit of spin doctoring he became known as the great “equivocator” and was promptly hanged. Sure enough, in Act 2, when Macbeth’s Porter wonders what kind of people would enter the gates of hell,” he recites the lines above. The Gunpowder Plot is still the subject of controversy and anti-Catholic feelings. To get the full view of this historic event, there is a fabulous read, The Gunpowder Plot, written in the 50’s by Hugh Ross Williamson. This book explains in detail, with tons of primary source references, what happened almost 400 years ago in England. The bibliography alone, at 13 full pages, is a treasure trove of well researched documents on the subject. It is well worth the read and told in an engaging style. There is no doubt that this is a fascinating true story, full of intrigue and suspense…involving heroic actions, cowardly politics and unwavering faith! You can meet the real Guy Fawkes literally, in person, though this amazing book. Truly this is an answer to a prayer. Ordinarily I eschew study guides for they tend to limit discussion and understanding by providing ready answers! However, Questions for Thinkers Study Guides are very DIFFERENT simply because of the wonderful idea of listing questions for the student to answer as they read through key classical texts. Questions for Thinkers Study Guides questions too are different in that they are thought provoking and lead the student to a deeper understanding of these difficult readings. The readings are ones they will encounter for the first time in high school, if they use a classical curriculum and then later explore at an even deeper level at college. Use of each guide ultimately provides the student with their very own wonderful resource to take with them to college. The written answers also provide the necessary material needed to develop essays and papers on each of the books as well as guiding a student in the process of HOW to ask questions as they read, an important aspect of true understanding! Family of God: Grandparent Interview Activity Kit will help you keep those memories alive with your children. The purpose of this kit is to have the children send questionnaires to their grandparents (or extended older family members) and get them back in the relatives own hand. Not only does this provide a tangible keepsake, Granny’s own handwriting, but it is so personal and to top it off they learn the art of writing letters, addressing envelopes and enclosing cover letters too!